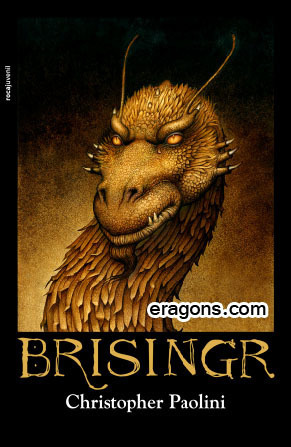 Brisingr-Spanish Book cover. . Wallpaper and background images in the eragon club tagged: eragon brisingr glaedr. This eragon photo might contain triceratops. I never knew Glaedr could look so I-am-gonna-tell-a-joke. It's an unusual mixture of odd and funny. Yes, it is real, its the Spanish version's cover.